This kit is an exclusive combination of Diamond Ash and Essential Oils which leaves the skin polished and luminous after a single session. 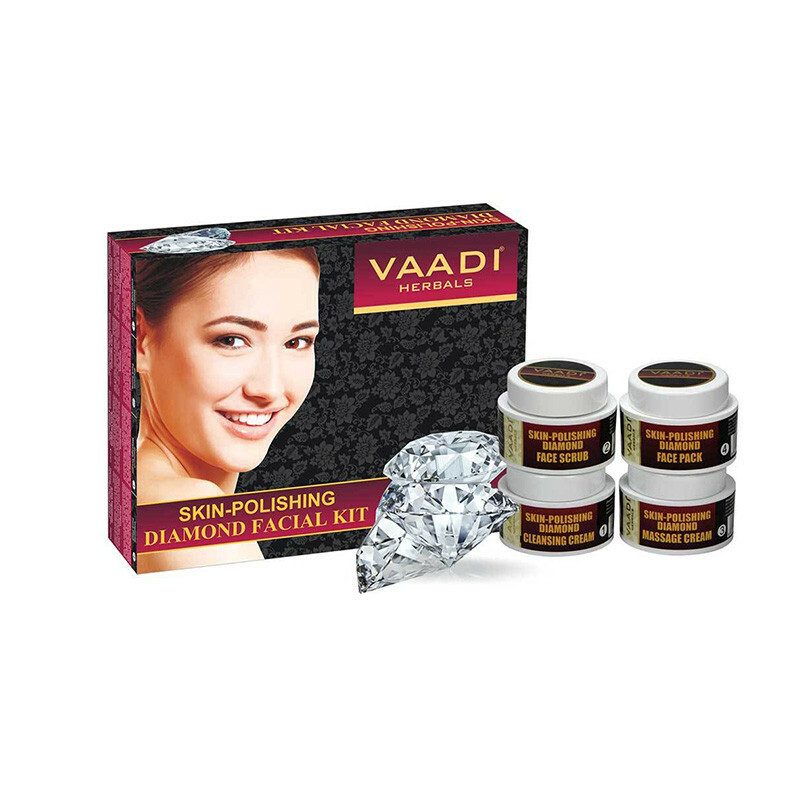 Skin-Polishing Diamond Massage Cream-provides complete nourishment to the skin. It also contains Almond Oil and Wheat germ Oil which helps the skin to maintain and retain its moisture level and deeply nourishes the skin.Cleansing Cream-gently removes excess Oil and Impurities. This cleanser Hydrates, Nourishes and Protects your Skin, leaving it refreshed.Face Scrub-removes dead and dry skin cells and impurities from the top layer of your skin. Revealing smooth, soft and luminous skin underneath.Face Pack-It further helps to reduce dark spots, wrinkles and fines lines on the skin. Leaving your skin well polished and luminous.It removes the dead cells and impurities from the skin surface, revealing deeply nourished and glowing skin.